Prime Minister Narendra Modi hardsold 'Make in India' initiative in Shanghai, China during his visit to the port city. In an interaction with Chinese investors where the likes of Jack Ma of Alibaba.com were present, Modi reiterated his commitment to make India investment friendly. 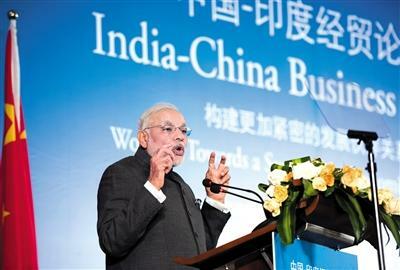 The prime minister told Chinese investors to take advantage of the changing business climate in India and set up manufacturing in the country. Addressing the India-China Business Forum, PM Modi said that this is a historic opportunity for Chinese companies. 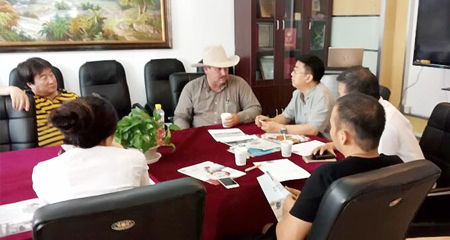 He said, "We have committed ourselves for creating and improving the business environment. I can assure you that once you decide to be in India, we are confident to make you more and more comfortable." Trying to solicit Chinese investment into India, Modi said that 'China is the factory' of the world while India is the 'back office of the world'. at the India-China Business Forum in Shanghai on May 16, 2015. He further said that a 'harmonious partnership' between India and China is essential for economic development and 'political stability' of the continent. India and China signed 24 agreements on May 15 that were worth $10 billion. The agreements were signed in Beijing. Interestingly, while PM Modi is going all out to harsell 'Make in India' initiative and to strengthen economic ties between India and China, the latter seems a bit wary. The collective value of the deals signed over the past two days stands at nearly $32 billion. China has committed to invest $46 billion in Pakistan when President Xi Jinping visited the country earlier this year. Moreover, yesterday when India and China signed 24 deals worth $10 billion, China committed to invest $50 billion in Brazil. China said that it will invest $50 billion in Brazilian infrastructure, Brazil said ahead of Chinese Premier Li Keqiang's visit to the country next week. Today, while Modi oversaw businesses in the two countries ink deals worth $22 billion in Shanghai, China has urged US Secretary of State John Kerry, who is in Beijing, to speed up the investment treaty between the two countries. Wang, speaking at a joint news conference with US Secretary of State John Kerry, also urged the United States to loosen restrictions on high-tech exports. Last year, when Xi came to India, he announced investments worth $20 billion in India's infrastructure. Clearly, India is going all out to woo China but the latter is looking elsewhere to park its money.